Since we're in the midst of counting the Omer, over the next several days let's learn a bit about the Hebrew numbers from one to ten. The Hebrew word for one is echad אחד. The feminine form is achat אחת. How did this unusual transformation occur? Rav Yehoshua Steinberg, in his Milon HaTanach, explains. The "proper" feminine form would be achadt אחדת, but that would be very difficult to pronounce. We see this in Shmuel I 4:19 - הָרָה לָלָת "was pregnant; about to give birth". 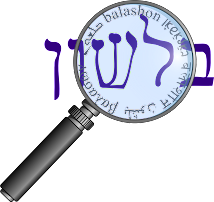 The word appears as lalat ללת instead of ללדת laledet, because the dalet is "swallowed up" by the tav. Try saying achadt, and you'll see how easily that happens.